55 Days. 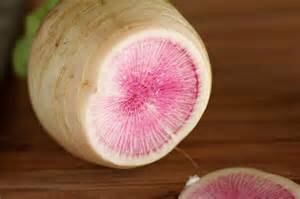 (Raphanus sativus) The watermelon radish has ball-shaped root that is about 4 inches in diameter. 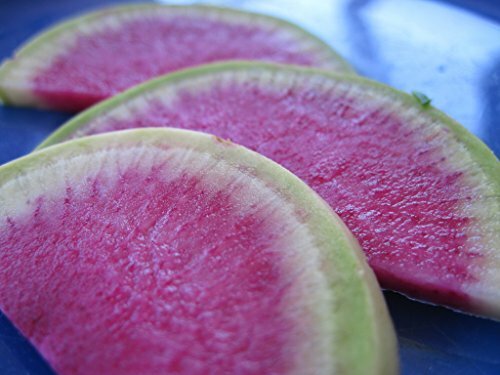 The white surrounding is hotter and the interior is peppery-sweet. 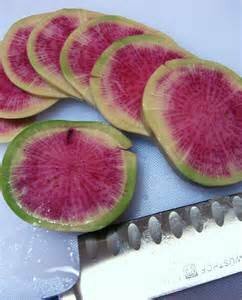 Perfect to shred into salads for gorgeous color and flavor or slice thin for colorful snacks or eye-catching dip holders.